We only provide the highest quality used material handling equipment. We do not provide junk and we will not sell any equipment that we would not utilize ourselves. 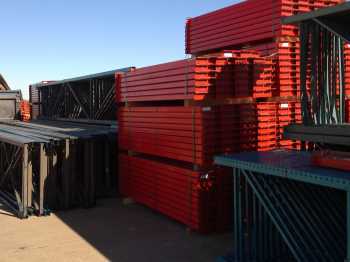 CSI provides used rack, shelving, conveyor, containers, and more. If you do not see specifically what you are looking for Contact Us, we are here to assist you. Request a quote and put our professional personnel to work for you. We also offer all types of new material handling equipment.